Every time I boot up, KDE appears to forget that I want my monitors to be positioned left-to-right and instead defaults to mirrored config. But, after a lot of cursing and a little googling, I found an answer so it'll no so much keep your settings, but reset its broken config to your settings. 1. 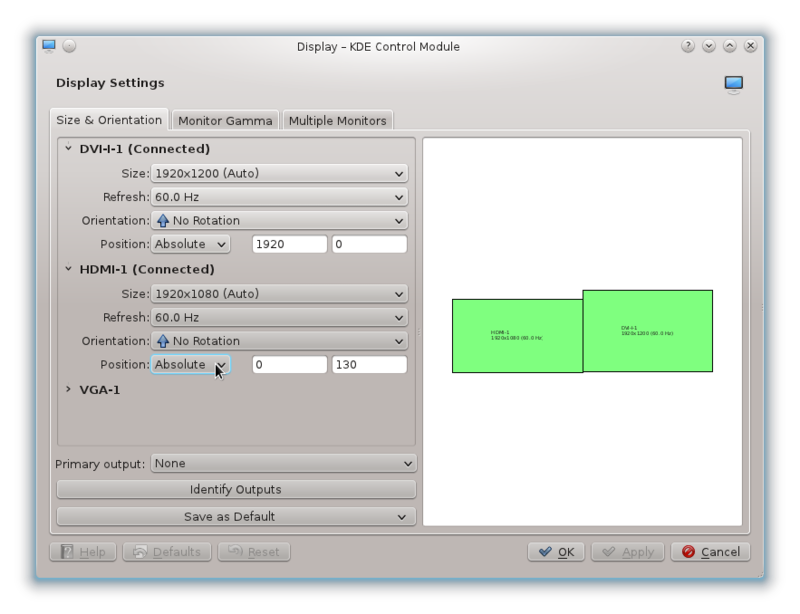 Hit ALT-F2, then enter "display" to run the Display Settings app. 2. Configure your settings as you'd like. Note that if the Apply button isn't active after your changes, you can change/revert something like a Position: button to make it active. 4. Copy the configuration into a new file, and replace \n with newlines. I like to put scripts like this in /etc/X11 because they relate to screen res and positioning. 6. 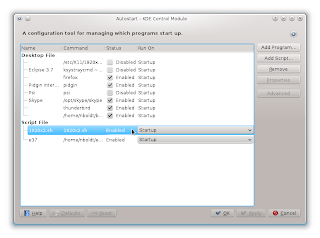 Hit ALT-F2, then enter "autostart" to run the Autostart config tool. 7. Click Add script... and browse for the script you created above. 8. Reboot and watch the magic unfold.